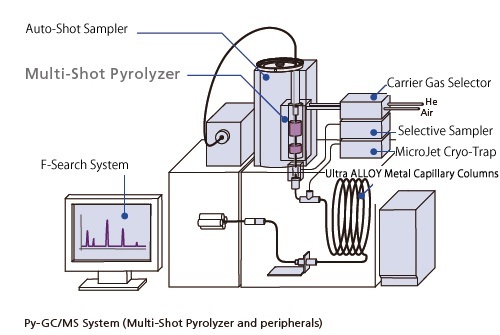 Pyrolysis gas chromatography mass spectrometry (Py-GCMS) can be used to characterize most materials including insoluble and complex materials at trace levels often without any sample pretreatment e.g. polymers, plastics, rubber, paints, dyes, resins, coatings, cellulose, wood, textiles, oils etc. 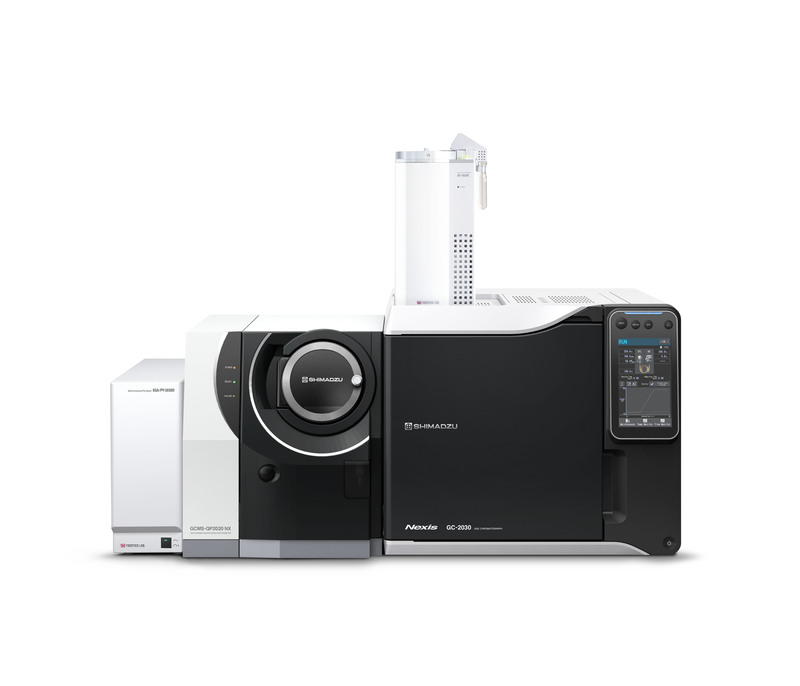 Due to the direct sample introduction and the chromatographic separation, it is possible not only to analyze very small amounts but also to obtain detailed, unique information, which is unobtainable by other analytical techniques. The Multi-Shot Pyrolyzer EGA/PY 3030D with its vertical micro furnace is the top-class model in the series of multi-function pyrolyzers developed by Frontier Laboratories Ltd.